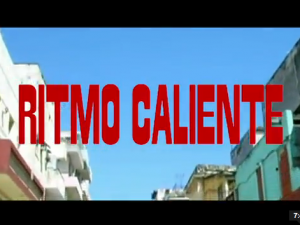 Here we have a small appetizer promo-video for our compilation “RITMO CALIENTE” with a wide selection of afro-cuban psychedelic soul & funk music. With totally undiscovered black pearls from cuba of the egrem archive! The video is shot in Havanna and other places in Cuba while digging for records and showing the normal way of life. ENZO ELIA • “Alles Paletti !” is out now as 12″ Disco Maxi-vinyl and digitally !!! THEM MUSHROOMS • “Mush Dance / Tribute To Bob Marley” vinyl 7inch ! WILD FIRE • “Check it out” / “The Dealer” out now as digital and as vinyl 7″ !!! APOTHEKE • “Hi Baby Out” / “War” out now as digital and as vinyl 7″ !! !